The unveiling of the next generation of German cars often comes with low expectations of mildly-evolved styling, solid-but-unspectacular engineering changes and, crucially, the exact same pitch to the exact same group of customers as the last model. 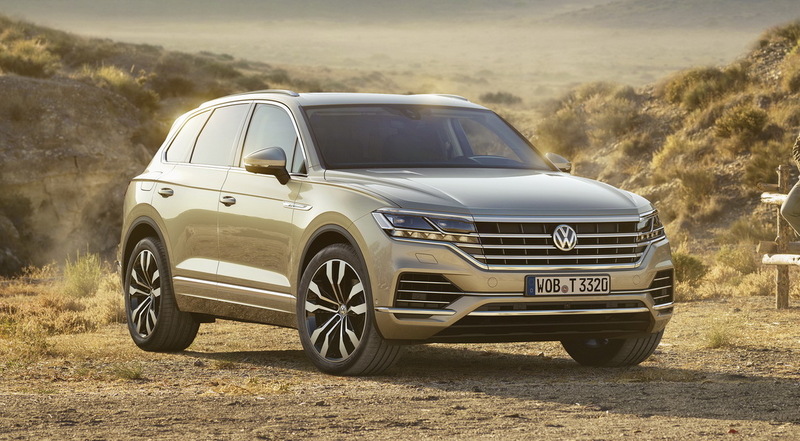 Which is why the debut of this, the third-generation Volkswagen Touareg designed with Chinese as much as the European market in mind is an interesting outlier. Let’s dig in as to why the usually uber-conservative company seems to have gone out on a limb with the Touareg. Volkswagen has seen the Chinese market as a crucial one long before other carmakers. Now, after years of selling dull-but-worthy sedans and hatchbacks the company is preparing an all-out assault on the much trendier crossover segments, with some 12 such models to come to market in the next few years. The new Touareg’s role is to spearhead this assault by acting as the aspirational range-topper, the car buyers wish they could afford as they take delivery of one of the company’s smaller and cheaper models. This contrasts with the US, where the company is concentrating on the huge and relatively cheap Atlas after years of peddling the pricey Touareg, which ultimately met with only moderate success (sales for the first generation briefly approached 30k sales annually, but the second generation barely topped 10k). OK, so what? Is the car any different because of this shift in strategy? It certainly seems so at first glance. For starters, the Mk III Touareg tries hard to look much “richer” than the first two generations, with an imposing grille and lashings of chrome everywhere. 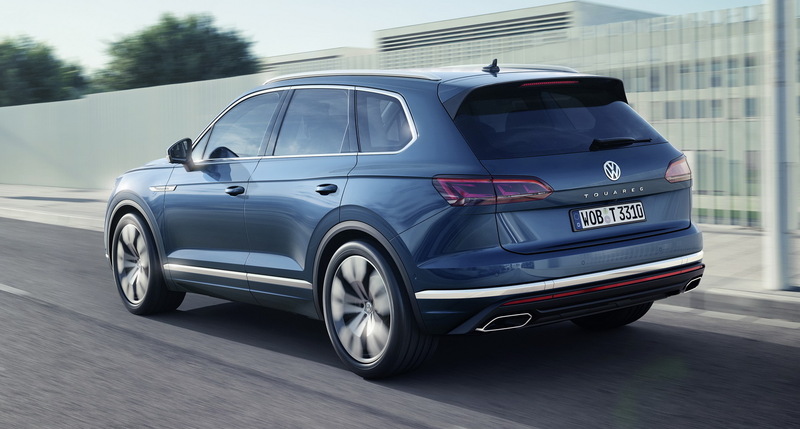 In fact, after the blandness of the first two generations (forced in part by the need to share the doors with its Cayenne sister), the latest model looks rather attractive, especially from the side where it looks much sleeker than the dumpy Mk III Cayenne or the awkward second-generation Audi Q7. But it’s inside that the strategy really comes to the fore, with the Volkswagen boasting a dual-screen setup (with a massive 15″ central unit) that puts its more expensive sisters to shame. With the mechanical makeup matching the Audi Q7, complete with the SQ7’s mighty V8 diesel (as yet unconfirmed), the feeling is that VW designers were given free reign to try to match the segment’s best, or even surpass them, without the need to kowtow to VAG’s strict brand hierarchy. Haven’t other brands also gone after the Chinese market? Yes, but usually they fall on either end of the spectrum. On one hand there are those who believe that if their cars are good-enough for the western consumers, they will be good for the Chinese market, with the only exception being the common practice of developing China-only long-wheelbase versions of regular cars (think Audi, BMW, Mercedes-Benz, Volvo). On the other hand there are companies like Buick, Citroen or DS, whose market perception is completely different in China than in their home-markets, and which develop a lot of models for the Chinese market only. 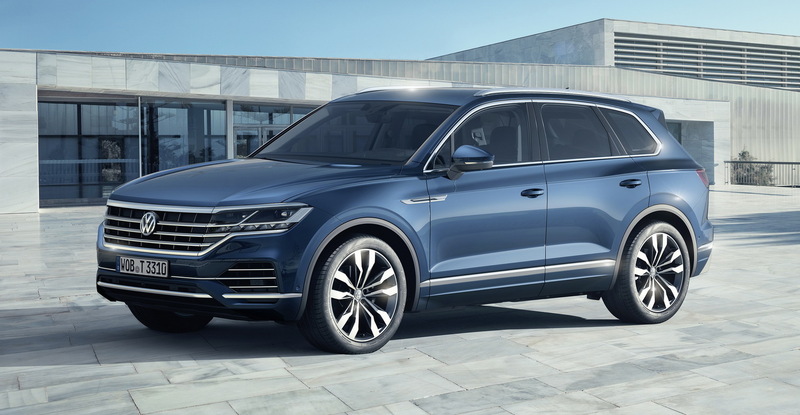 The interesting thing about the new Touareg is that it is an attempt to bridge the gap between the two approaches by developing a model for both the Chinese and European markets whose features are influenced equally by needs of customers in both countries. Time will tell if it’s the last one. It seems VW is focusing more on locking in a position in the higher end of the international brand spectrum, along with the Japanese brands and Buick, and leaving the low end of the spectrum to Skoda to compete with the Koreans and PSA. It does look like a worth contender to compete with the Highlander etc, but where does it leave the Teramont? I know the people who buyed Peugeot 3008, 5008 ( Euro 6d ) instead of Audi or Vw products..,which don’t have (at the moment) euro 6d engines…. I mean the 2020 generation. Imho sometimes it is wrong to generalize about people.. , for ezample Peugeot’s sales 39 % jump in Germany. !? The laziest car design department of the industry has been busy mixing the Audi Q7 and Bentley Bentayga. Who would have expected that to happen?! The desire of VW to be considered an upscale brand is pathetic. First generation Touareg was robust and not at all fat which resulted in a little bit of character for a large SUV. Sadly his two descendants are obese and developed with only one goal, typical for VW Group: not to distance themselves from too many ‘middle-of-the-road’ adoring people. Technically the new Touareg is irrelevant. Diesels? Really? The plug-in version, made for China, is not groundbreaking.